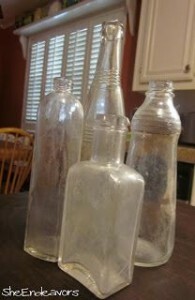 As a bottle collector I know that when you dig bottles up that they are very dirty and full of yuck. I personally like to clean them with soapy water, and leave some of the weathered look. This isn’t everyone’s style.